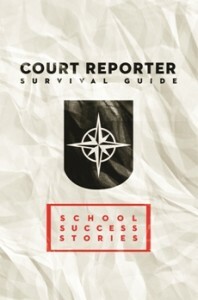 videographers, today announced that Marty Herder, a freelance court reporting firm owner of AZ Litigation Support in Phoenix, Az., is a contributor to the recently released book Court Reporter Survival Guide: School Success Stories, a collection of essays and tips about making it through court reporting school written by freelancers, officials, CART captioners, and current students. 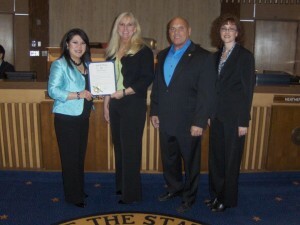 The National Court Reporters Association (NCRA), the country’s leading organization representing stenographic court reporters, broadcast and CART captioners, and legal videographers, today announced that Marty Herder, a freelance court reporting firm owner of AZ Litigation Support in Phoenix, Az., www.CourtReportersAz.com, is a contributor to the recently released book Court Reporter Survival Guide: School Success Stories, a collection of essays and tips about making it through court reporting school written by freelancers, officials, CART captioners, and current students. “This collection is a true Chicken Soup for the Soul type book that offers advice and insight from the only people who really understand the ins and outs of court reporting: other court reporters and captioners,” said Jim Cudahy, executive director and CEO of NCRA. “Professional court reporters engage in a rigorous training that includes both educational components and skill development-much like learning to play a new instrument-with a high degree of skill and accuracy. As such, court reporters share a common pride and sense of accomplishment for having completed their professional training. This collection serves as a good reminder to court reporters that despite the sometimes difficult road to earning their place in this unique profession, the ultimate achievement of becoming a ‘keeper of the record’ was worth it,” Cudahy added. According to a recently released report by Ducker Worldwide, demand for court reporters will exceed supply within five years, yielding a nationwide shortage. By 2018, there will be 5,500 new court reporter jobs available in the United States. Further, the average starting salary for court reporters is $43,000. According to the U.S. Bureau of Labor Statistics, the growth rate for court reporting salaries is expected to increase by 14 percent through the year 2020. The softcover book – which includes the eight chapters: Superheroes in Training; The Road Less Taken; Motivation; Learning to Juggle; Lean on Me; Practice, Practice, Practice; Testing Our Limits; and A Few Extra Briefs – is filled with rich content direct from the trenches. Insight and advice range from small snippets to essays that recalled the inspiration offered by friends, family, and mentors, as well as coping with the anxiety created by drills, tests, and hours of practice each day. The book also contains numerous testaments from contributors sharing the many benefits, rewards, and opportunities court reporting has offered them. Herder is one of more than 60 of working court reporters, CART captioners, and students to have provided input. The content is often humorous and always thoughtful, and it includes an abundance of motivation for any reader. “I was very fortunate that a respected professional reporter was selfless enough to mentor me at a very young age. I get so much out of paying it forward, and strive to live by Rotary International’s motto of ‘Service Above Self’,'” said Herder, the immediate past president of the Arizona Court Reporters Association. He currently serves as the Arizona Delegate for the National Committee of State Associations, as well as current president of the Arizona Litigation Support Court Reporters in Phoenix. The Court Reporter Survival Guide: School Success Stories is available for purchase from NCRA’s online store. For the full 2013-2014 NCRA Industry Outlook Report, or to learn more about the court reporting profession visit crTakeNote.com, or visit NCRA.org for career information about the court reporting profession-one of the leading career options that do not require a traditional four-year degree. About NCRA The National Court Reporters Association (NCRA) is internationally recognized for promoting excellence among those who capture and convert the spoken word to text for more than 100 years. NCRA is committed to supporting its more than 16,000 members in achieving the highest level of professional expertise with educational opportunities and industry-recognized court reporting, educator and videographer certification programs. NCRA impacts legislative issues and the global marketplace through its actively involved membership. Forbes has named court reporting as one of the best career options that do not require a traditional four-year degree and the U.S. Bureau of Labor Statistics reports that the court reporting field is expected to grow by 14 percent through the year 2020. Why are you letting your client pay Wall Street page rates in, say, the Grand Canyon State, when the most experienced, highly respected professional court reporters own businesses in your back yard? Insist that your personally-vetted, LOCAL court reporting professional be present at your deposition. 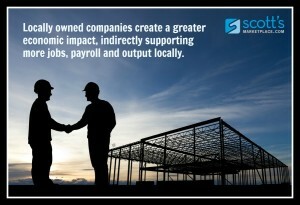 Locally owned companies with a vested interest in the community, in fact, do create a greater economic impact, indirectly supporting more jobs, payroll and output locally. National “body brokers” of court reporting services, by their very nature, are controlled from central headquarters – which could be anywhere in the world. In many instances, they do not even have a brick-and-mortar business in your state, and they blindly throw a dart into an unknown pool of anonymous reporters. Sound familiar? They are making decisions based on factors which might not have anything to do with what is right, or legal, for one particular location, business or community. Any cost-containment or savings promised by a national firm is illusory, as rates from all over the country much higher than local rates are calculated into their price matrix. In many cases, you are simply throwing your client’s money away. Several of these national firms who procure exclusive third-party contracts with carriers, have a history of suing individual states (taxpayers), practicing in gross violation of local codes, and even bankruptcy, leaving local vendors, consumers and property owners holding the bag for unpaid services, payroll and leases. Think of your client first. Operating under an exclusive contract with a supposedly-neutral officer of the court doesn’t even pass the sniff test of impartiality. Does it? You and your client are being charged more for the layers of administration for like or inferior customer service. I was blessed that when I graduated school, I had a dynamic, successful, no-bull mentor, Al Holiday. Al cared enough about our industry, and me, to selflessly take the time to sit down this know-it-all, recent court reporting graduate, and drill into my head the opportunity that I was potentially missing. For 35 years I have shared this story with every intern, young peer and industry friend. Although these are from the freelance experience, the same required tenacity and work ethic applies across the board. I’ve also updated this presentation to include the technology explosion that has taken place, as these “Keys To Excel” apply to many professions and careers. Continue To Grow: Never rest on your accomplishments. Keep current on cutting-edge technology and continue to reach career milestones. Do not let up on attaining your next certification, whether it be RPR, RMR, RDR, CRR, writing successful bid proposals, or whatever your industry offers as the next milestone. Get involved in your state association, leadership committees, and plan on being a resource to others. It won’t happen overnight. Take baby steps and get your toe in the water early in your career. Now. Today. Feed Your Pipeline: Always keep things moving into, and out of, your production “Pipeline.” Write, edit, print. You’re never standing still, you’re always moving, producing. If you’re not writing or working on a project this afternoon between 2 and 6, you are not “off.” You are always available, (no matter what the call-in) while editing/proofing and vice versa. Your personal time is predictable and scheduled, and all other time is devoted to servicing your clients and/or firm. Real Time or Wasted Time: Never write a job without setting up for real time. Never. Even if you don’t use it. You are investing in your own productivity and future by fine tuning your writing each hour, each job, each day. These dividends add up fast. Two years from now you’ll be absolutely amazed at what translates perfectly, even during miserably challenging expert testimony. Plus, technology keeps improving. You’ll need a good lead time to build a solid foundation of tech knowledge. Elite reporter’s dictionaries rock because of this practice. Also, when real time is requested, it’s one more step that is common and comfortable to you. You are already dialed in, able to have complete focus and enjoy writing. Yes, I said it: NJOY writing. It is a very rewarding endeavor knowing you are knocking it out of the park, writing real time clean with a respected and professional audience depending on you. You are at the top of your industry, and everyone in the room knows it. Superior Work Ethic: Every successful freelancer/owner that I know, has been the type of reporter that I describe below. All of these respected peers and friends came right out of school and hit the ground running (sprinting) with a superior work ethic and level of professionalism. They smoked other reporters’ productivity with a higher level of determination and diligence. 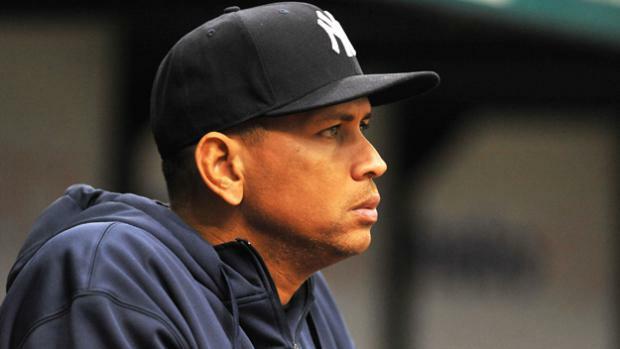 Right from the starting gate, these “A” players had the foresight and vision to recognize opportunity, and were abundantly rewarded not only monetarily, but with a quality of career that many can only dream of. 1) Balance: Never let your pipeline get so backlogged and loaded with notes that you can’t keep a promised deadline; but ensure that you have flexibility to put a transcript a day (or two) out of rotation. To do this effectively you must be adept at communicating with each client about exactly what they need and expect. Communicate, communicate, communicate. Keeping your worries, questions and hands in your pockets, afraid to have a friendly, detailed professional discussion with each and every counsel about their expectations does NO ONE any good. How do you relay your non-communication back to the firm owner? Additionally, non-communication is a red flag to attorneys. They will appreciate that you are taking the time to inquire precisely what their parameters are. If you are timid, afraid or shy, build a bridge . . . and get over it. 2) Optimize Your Skills: Do not be the reporter that continually gets walked on accepting weak and infrequent workload from a firm for an extended period of time, getting so few assignments that your pipeline is always empty, as you constantly are waiting around begging for notes, like a dog in a kennel waiting for scraps from the big dogs. If this situation exists, your skills and commitment are not being optimized and respected. Let others sit in that kiddie pool. The water smells there anyway. 3) Perform Like An Olympic Champion: Respectfully eclipse your competition (other reporters in your same pool or firm) simply by outperforming them. Just like in sports, actions and results speak louder than words. There is no need nor place to gloat or boast, just surpass the crowd and get it done. Everyone will see your consistent dedication, sacrifice and superior performance. Some can hang, some can only hang on. You decide which you want to be. 4) Availability: If you say you’re “available” to work Monday to Friday 8:00 to 6:00, then you are completely ready and available to that agency each and every minute of that time, not making excuses, or moaning about the assignment, or turning down work because you’ve just scheduled an unplanned mani/pedi with Monique for 2 hours. It pays off when the quality job comes, and the owner is looking at the pool and wondering who is going to be rewarded…the productive workhorse….or the bellyacher with the fabulous toes. You can catch up, edit, print, etc., on your own time, in the middle of the night and on weekends. J We firm owners really don’t object to when, as long as it’s not on our time. Just as long as you make yourself available for the impossible task that we have of covering/juggling multiple jobs, firms, proceedings, venues and personalities each and every day. 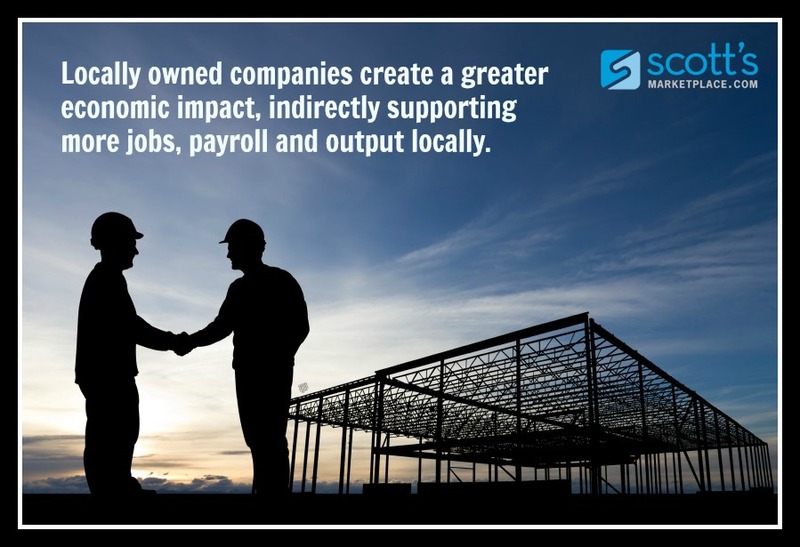 Sorry for the tough love, but we cannot build a business which will ultimately feed you better and more frequent work if we can’t depend on you. You are our future, our new heroes, our Steno Olympians. Now, suit up, get in the game, and GO FOR IT! We are all counting on you to carry the torch to others in the years to come. 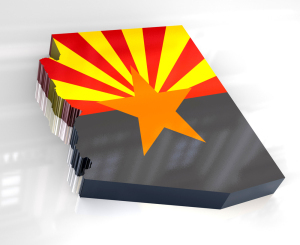 Our deepest respect and appreciation to membership of the Arizona Bar, the Court Reporting Board, the Committee on Superior Court, The Task Force on Certified Court Reporting Regulation, the Arizona Judicial Council, and the Arizona Court Reporters Association. The recently-approved revision of ACJA 7-206 goes a long way toward the goal of protecting the public by now registering reporting firms, mandating demonstration of true equality in billing, prohibiting the reporting profession from facilitating or engaging in advocatory activities and defining protocols for increased security of the record.